The building of a new tourist reception centre and a big car park at the approach from Ardales are going to be put out to tender shortly. A tunnel is going to be open along the route at the Gorge of Gaitanes with three viewpoints. €5.6m is to be allocated to eight access roads improvement until 2019. 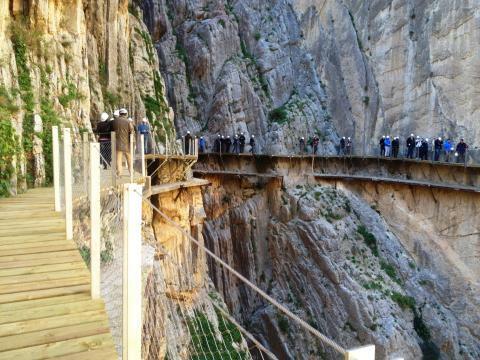 The County Council of Málaga is going to allocate €1.9 million to the second phase of El Caminito del Rey Project actions, which are to be put out to tender shortly. This includes a tourist reception centre with a car park for 200 vehicles, a new roundabout that should easy the traffic, a tourist information centre which is to be built at El Chorro Train Station, as well as a car park for this area, and some improvements along the route, such as works on the tunnel at the Gorge of Gaitanes and the recovery of the waterfall. Moreover, some improvements on the access roads to this natural beauty spot worth €5.6 million are planned to be completed by 2019. 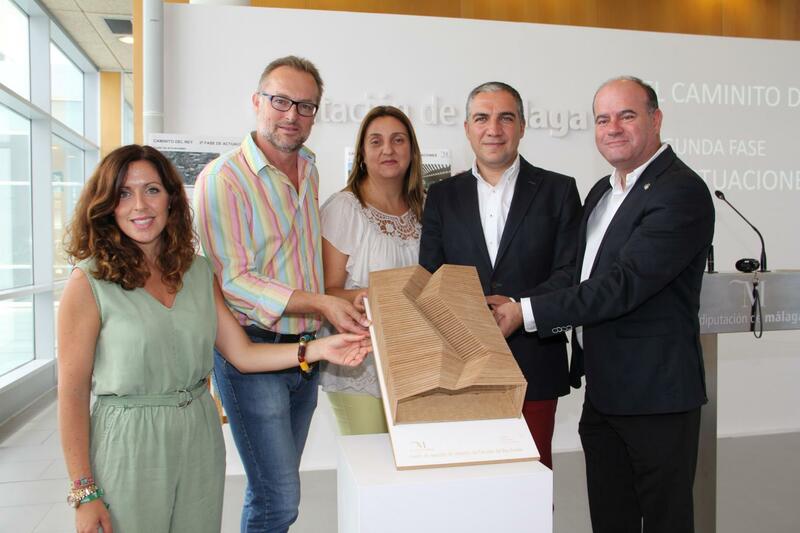 County Council President Elías Bendodo has presented the second phase actions, together with Environment and Territory Promotion Department Representative Marina Bravo, María del Mar González, the Mayor of Ardales, José Sánchez, the Mayor of Álora, and Manuel Barón, the Mayor of Antequera. Mr Bendodo talked about how successful the new management model of the path El Caminito del Rey is, giving data related to the number of visitors who came to see the spot form last April to last week. The spot was visited by 86,810 people, or 1,099 visitors a day, which is 100% of the permitted visits. The mayors appreciated team work that has been done on this project from the very beginning, so El Caminito del Rey would become world-famous location. 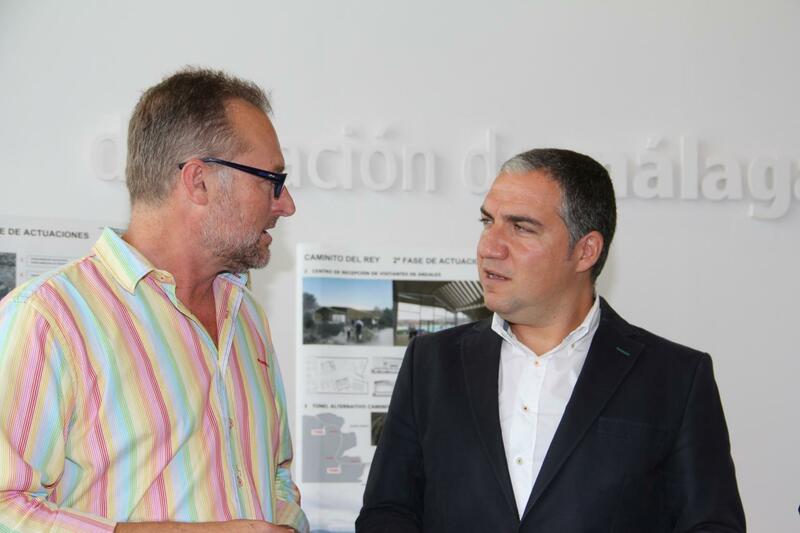 The major works planned for the second phase of the project involve the tourist reception centre, which is going to be built on a plot at the approach road from Ardales to the path, just in front of the junction which leads to Álora and El Chorro. This building, which will be 500 metres square, will be made from wood so it would integrate into landscape better. 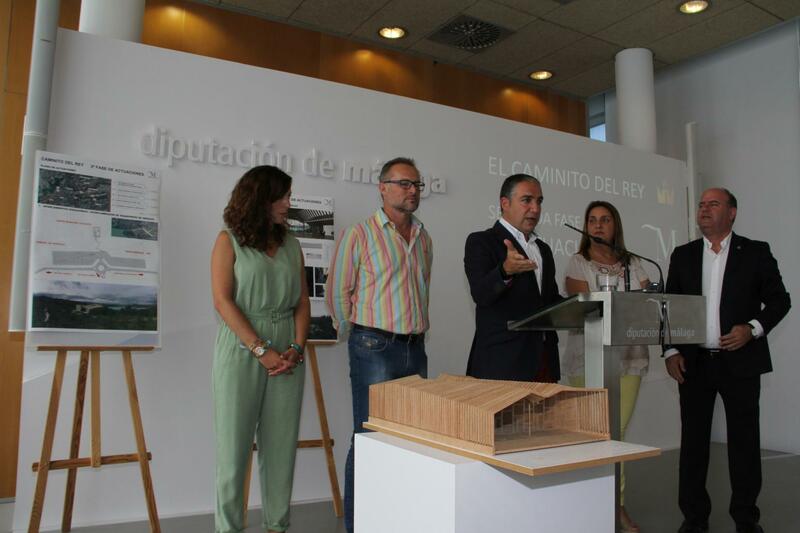 It is planned to be built on a promontory over Conde del Guadalhorce Reservoir. The building will include a reception and information desk for customer service; a bookshop, audiovisual display and a conference room, and a café-restaurant. Next to this building, a car park for 200 private vehicles is going to be built, as well as a zone for coaches and a shuttle bus that goes to the both access points to the path. The budget worth €1.4 million is allocated to these works, which are planned to start in autumn and last for six months. Besides, €200,000 are allocated to build a roundabout in order to improve the traffic in the area and to turn in into the access point to the tourist reception centre, to the reservoirs and to the small village of El Chorro. Furthermore, a car park for El Chorro and a tourist information centre will be open at the El Chorro Train Station thanks to € 220,000 investment. There are some additional improvements which are to be done along the route. 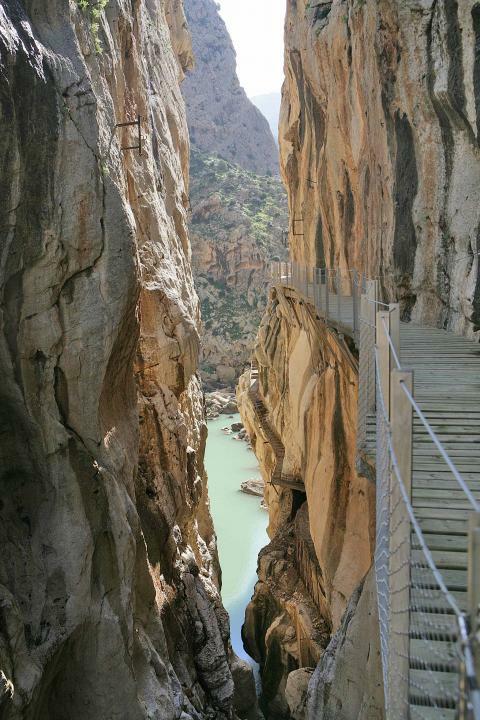 Actually, the Andalusian Government has already authorized refurbishment of a tunnel which is in the area of Desfiladero de los Gaitanes (the Gorge of Gaitanes), so it could be used by visitors. The amount of €126,000 has been allocated to that purpose. It is sometimes necessary to close the access to Gaitanes Gorge, the most beautiful part of the path, due to the bad weather caused by strong wind. Nevertheless, thanks to the tunnel, tourists will be able to admire the gorge from the viewpoints, and see the boardwalks as well as the spectacular vault from a different perspective. The waterfall at the old spillway at an altitude of 100 metres will also be recovered by building a new water pipe. On the other hand, €5.5 million are going to be invested in improvement works on eight roads in the surrounding area, new access signs for El Caminito del Rey, and the repairs of the main road that goes through the small village of El Chorro. 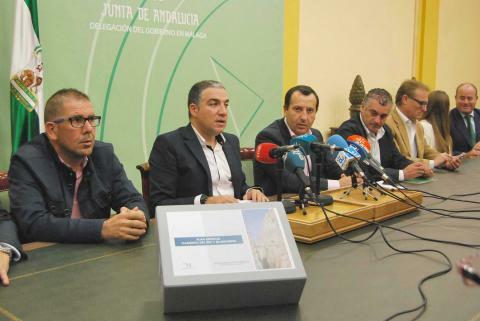 The approach roads from Ardales and Álora are going to be reinforced, and some works on the roads in the surroundings of El Chorro to increase their permeability and improve absorption of water coming from Ronda and the Sierra de las Nieves, are planned to be performed. 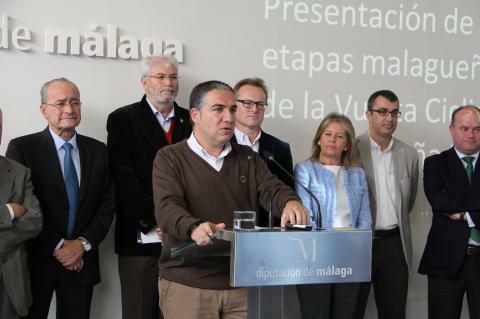 Moreover, the boards which indicate access to the path, such as those that were placed on the A-357 Málaga – Campillos motorway, will also be placed close to Antequera and Valle de Abdalajís. Regarding what has just been said, the County Council President underlined that round €6 million was invested in the path and the roads improvement until this year, and that €7.5 million will have been invested in the second phase of the project as well as in the above improvements of the roads by 2019.